All calls are confidential and our staff are here to help. 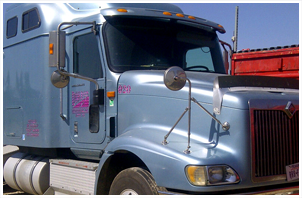 Our company has been providing services for the transportation industry since 2000. When a freight move is on your mind you can trust in us. We specialize in getting freight moved, with the best tools and personnel that’s dedicated to our cause, your cause. We’re willing to go the extra mile to help you achieve your goal. We are not your regular transportation carrier. We count on a team with experience at every level of our industry from driving to logistics management safety and administration.